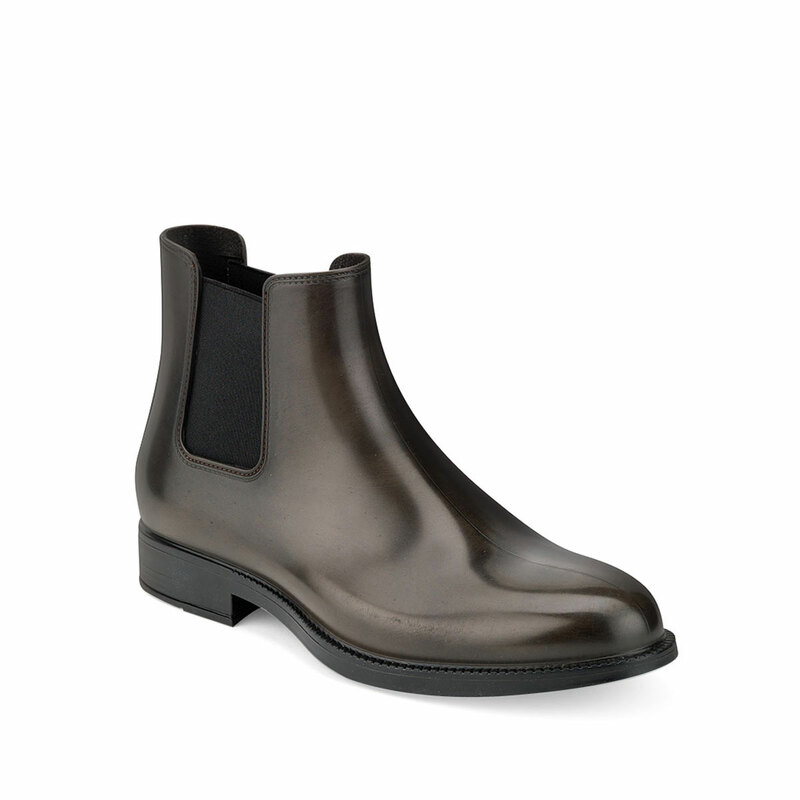 Chelsea boot in brushed effect pvc with elastic band on ankle sides and insole. Made in Italy - brown colour. Size run: 39-46.